So your Marketing Automation Plan is underway. Now what? 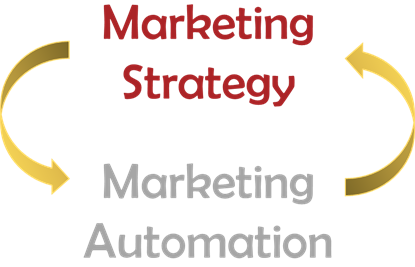 Your Marketing Automation system is so powerful, it gives you so much insight into how you can improve your marketing strategy. However, you need to know what to look at, how to interpret what you’re looking at, and then a plan for how to feed what you learned into your system. Just like any fined-tuned machine, your marketing automation strategy needs to be maintained and continuously developed. As smoothly as your marketing operations may be running, we all know nothing in marketing is set-it-and-forget-it. 4Thought Marketing delivers ongoing support and progress against your Marketing Automation system by delivering just-in-time advice and best practices, identifying gaps in your organization and execution, making sound implementation recommendations, and by providing CMO level insights on your performance. Keep your priorities on track as the months turn into quarters, and keep your team focused on the highest value steps for marketing automation improvement. Measure – Quantifying the results of your marketing strategy allows you to identify strengths and weaknesses, as well as define progressive goals and benchmarks. Learn – Using the data you collect and keeping an open dialogue with your sales team allows you to find out more about your target demographic, what their needs and pain-points are, and what the right message is to convert them more efficiently. Improve – As we all know, nothing is perfect, and neither is your marketing strategy. Improvement is all about using what was measured and learned to refine processes, lead scoring, segmentation, and all the other elements that make up your strategy. The goal is to see your KPIs show continuously better results over time. Prove – Show your organization, your boss, the wins and strides you are making that are making a difference! We help you tell this story with great visuals and C-Suite level reports. 4Thought Marketing uses this measure, learn, improve, prove mentality to help our clients read and interpret performance data, solicit feedback, and translate this data into actionable steps you can take to continue improving your strategy. From lead generation and conversion to reporting and operationalizing, consider 4Thought Marketing an extension of your team: a member with extensive industry knowledge who can deliver C-suite level progress reports and propel you down that world class marketing automation path faster.